With more than 30 years in various leadership roles, Mike brings a wealth of knowledge and experience to those he works with. 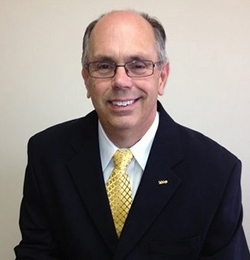 Prior to joining MAP in 1995, Mike spent many years in the hospitality industry. During the 80's and early 90's, he managed the largest, private membership, hotel, and country clubs on the west coast. This also included high end condominium/ apartment complexes. At times, he managed a staff of over 700 executive managers and employees. During his long tenure at MAP, in addition to his current Managing Partner role, has served in additional capacities from Executive Consultant, Corporate Trainer and longtime Board member. Over the years, Mike has been very active in supporting the local community. Past Chairman of the Board of The Newport Harbor Area Chamber of Commerce. In addition, President of the Newport Beach Taste of Newport, as well as several other charity organizations. Mike joined MAP as he has a great passion for what we deliver to those businesses and individuals we work with. He works tirelessly to ensure we deliver the very best in helping those we work with achieve their goals and visions faster. Over the years he has developed long tenured relationships with many of our clients. They greatly appreciate him introducing them to MAP and they value his knowledge and firsthand experience.